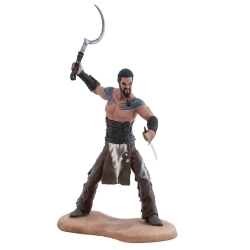 Dark Horse Comics is an American comic book and manga publisher. It was founded in 1986 by Mike Richardson in Milwaukie, Oregon, with the concept of establishing an ideal atmosphere for creative professionals. 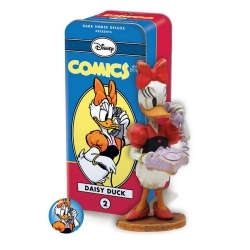 Richardson started out by opening his first comic book store, Pegasus Books, in Bend, Oregon, in 1980. From there he was able to use the funds from his retail operation to start his own publishing company. Dark Horse Presents and Boris the Bear were the two initial titles in 1986 and within one year of its first publication, Dark Horse Comics added nine new titles to its roster, including The American, The Mark, Trekker, and Black Cross. Frank Miller's Sin City is one of the most famous works associated with Dark Horse, and it has become something of a token comic to the publishing house. In 2011, Dark Horse Presents relaunched including the return of Paul Chadwick's Concrete and Steve Niles' Criminal Macabre, as well as new talent including Sanford Greene, Carla Speed McNeil, Nate Crosby and others. 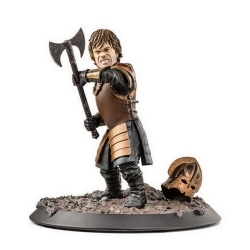 Collectible statue from the HBO serie Games of Thrones Dark Horse Comics:Tyrion Lannister. Limited edition to 3000 copies. 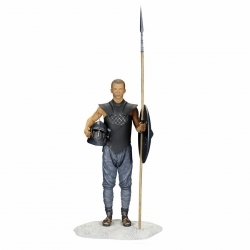 Height: 25cm. 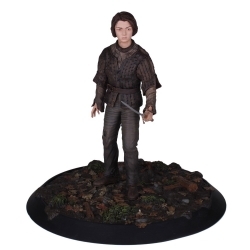 Collectible statue from the HBO serie Games of Thrones Dark Horse Comics: Arya Stark. Limited edition to 1200 copies. 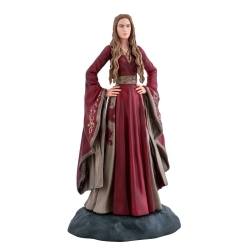 Height: 28cm. 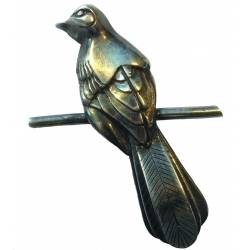 Oficial worn by Lord Petyr Baelish, the character popularly known as Littlefinger, this excellent replica of the distinctive mockingbird pin is true in the finest detail. 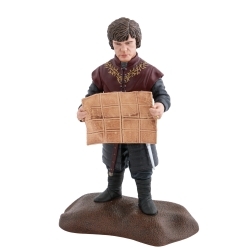 Measures 5cm in height. 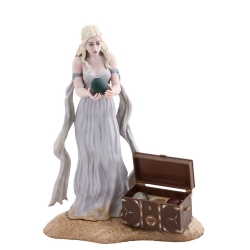 The Queen's Hand. 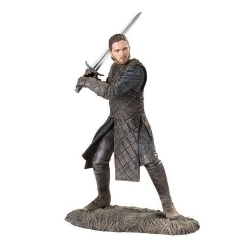 Officially licensed by HBO. 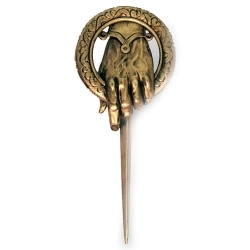 Authentic full size replica pin of The Queen's Hand. 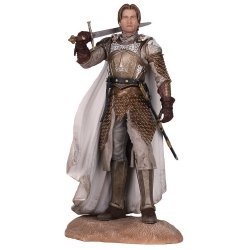 Intricately detailed. Measures approx 4.5 inches. 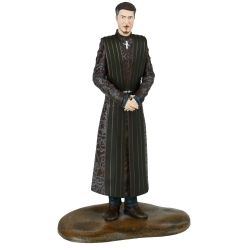 Noble Collection. 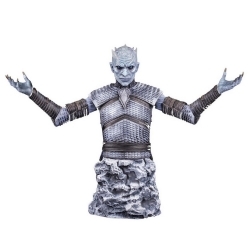 Officially licensed by HBO. 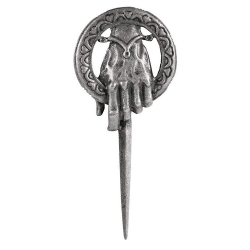 Authentic full size replica pin. 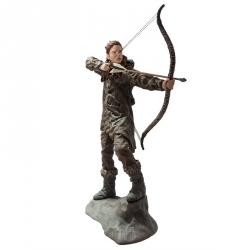 Intricately detailed. Measures approx 4.5 inches. 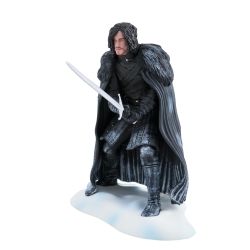 Collectible Figure from the HBO serie Games of Thrones Dark Horse Comics: Jon Snow, Battle of the Bastards. 20cm. 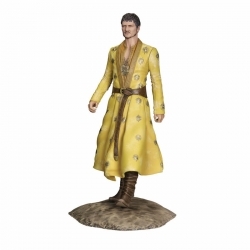 Collectible Figure from the HBO serie Games of Thrones Dark Horse Comics: Tyrion Lannister, Hand of the Queen. 14cm. 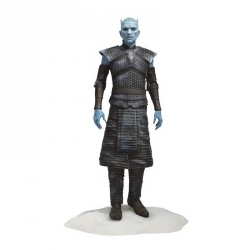 Collectible Bust from the HBO serie Games of Thrones Dark Horse Comics: The Night King. 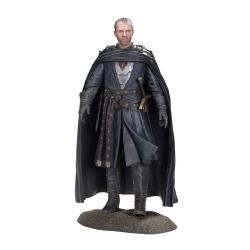 Limited edition of 1250 copies. 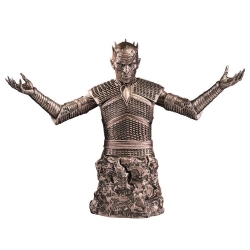 Collectible Bust from the HBO serie Games of Thrones Dark Horse Comics: The Night King (Copper Edition). Limited edition of 150 copies. 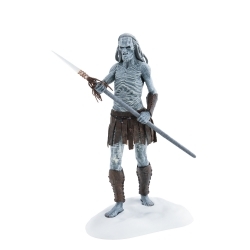 Collectible Bust Dark Horse Game of Thrones: The Night King (Silver Edition). Collectible Bust from the HBO serie Games of Thrones Dark Horse Comics: The Night King (Silver Edition). Limited edition of 200 copies. 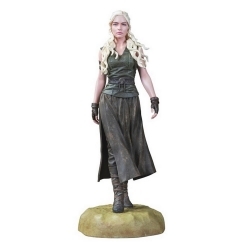 Collectible Figure from the HBO serie Games of Thrones Dark Horse Comics: Daenerys Targaryen. Dark Horse. 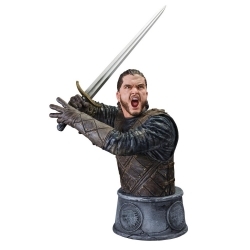 Officially licensed by HBO. 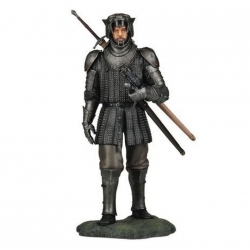 Hand painted and highly detailed. 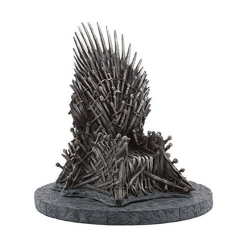 Measures 7" in height with the base showing the crest of the major houses of the Game Of Thrones series. 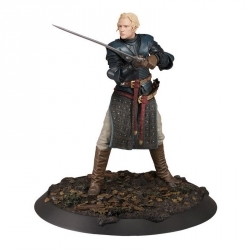 Collectible statue from the HBO serie Games of Thrones Dark Horse Comics: Brienne de Tarth. Limited edition to 950 copies. Height: 33cm. 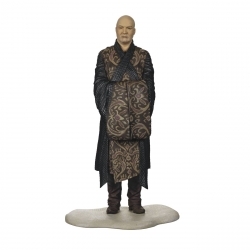 Collectible Figure from the HBO serie Games of Thrones Dark Horse Comics: Varys. 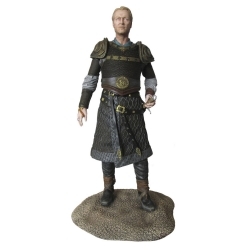 Collectible Figure from the HBO serie Games of Thrones Dark Horse Comics: Jorah Mormont. 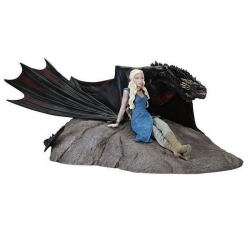 Collectible statue from the HBO serie Games of Thrones Dark Horse Comics: Daenerys Targaryen & Drogon. Dimensions: 18x8x23cm. 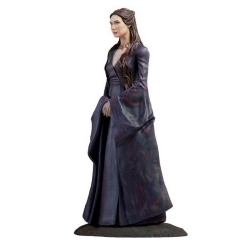 Collectible Figure from the HBO serie Games of Thrones Dark Horse Comics: Margaery Tyrell. 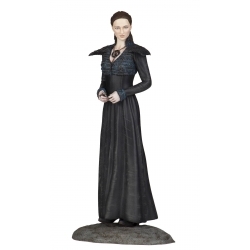 Collectible Figure from the HBO serie Games of Thrones Dark Horse Comics: Sansa Stark. 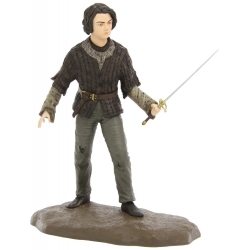 Collectible Figure from the HBO serie Games of Thrones Dark Horse Comics: Arya Stark. 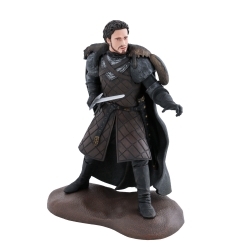 Collectible Figure from the HBO serie Games of Thrones Dark Horse Comics: Robb Stark. 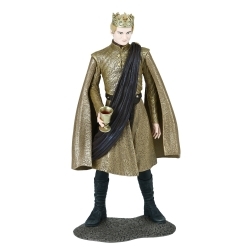 Collectible Figure from the HBO serie Games of Thrones Dark Horse Comics: Joffrey Baratheon. 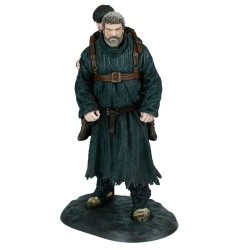 Collectible Figure from the HBO serie Games of Thrones Dark Horse Comics: Hodor and Bran. 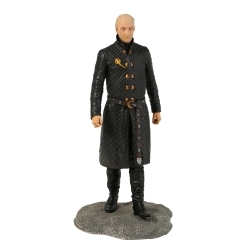 Collectible Figure from the HBO serie Games of Thrones Dark Horse Comics: Tywin Lannister. 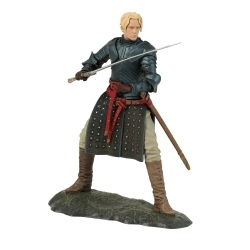 Collectible Figure from the HBO serie Games of Thrones Dark Horse Comics: Brienne de Tarth. 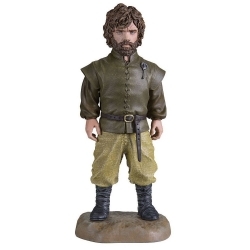 Collectible Figure from the HBO serie Games of Thrones Dark Horse Comics: Tyrion Lannister.